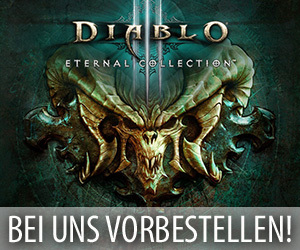 Im Verlauf des heutigen Abends spielten die Mitarbeiter von Blizzard Entertainment einen neuen Content Patch auf die amerikanischen Liveserver von Heroes of the Storm auf, der leider erst in der anstehenden Nacht in Europa erscheinen wird. Zusätzlich dazu veröffentlichten die Entwickler dann auch wieder offizielle Patchnotes in Form eines Blogeintrags auf ihrer amerikanischen Communityseite, die praktischerweise ganz genau auflisten, was für Neuerungen dieser Patch mit sich brachte und in welche Weise sich diese finale Version dieses Updates eigentlich von der auf dem PTR testbaren Variante unterscheidet. 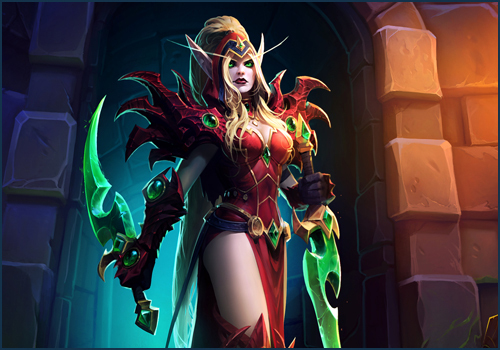 Zu den Inhalten aus diesem neuen Content Patch gehören dann beispielsweise der neue Held „Valeera“, das Mondfest für das Jahr 2017, neue kosmetische Inhalte für den Shop, umfangreiche Änderungen an Rexxar und Tassadar und ein Sandbox Modus für eigene Spiele. Move Here: Instantly moves the player’s Hero to the camera location. Set Team Level: Adjust each team’s level from 1 up to 30. This will also affect the strength of Minions and neutral Mercenary Camps. Developer Comments: These simple changes should allow Varian players to „live the dream“ and get multiple Overpower triggers more often, particularly when combined with Live by the Sword or Twin Blades of Fury. We want Overpower to allow Varian to gain a lot of value when used at just the right time, and found even the best cases of the old Talent design didn’t compare to the other options on the tier. By also allowing it to increase the damage of Heroic Strike baseline, we think it will an additional vector that will make it an enticing option for all 3 builds. Developer Comments: We absolutely love releasing reworks and this one was a long-time-coming, as Tassadar has had a bit of an identity crisis from the moment he stepped foot into the Nexus. We knew that the design direction and changes were going to need to be a bit more expansive in scope compared to most of our other reworks, but we did our best to keep him as true to his High Templar heritage as possible. Our goals were to embrace him as a true utility-based support mage. The new „Distortion Beam“ Basic Attack should allow you to help peel for your allies as well as secure kills that would be otherwise unobtainable. Plasma Shield has gained baseline utility that will continue to empower Basic Attackers, while also offering more diverse talents in order to better react to enemy and ally compositions. Archon has been surgically buffed and given a passive reset for Dimensional Shift which should be great news for our old-school fans as we fully expect to see a resurgence of back-line infiltration play. Overall, we hope the changes reinvigorate our steadfast Tassadar players while integrating many new ones into the Khala. En Taro Tassadar. Rexxar and Misha gain 2 Maximum Health every second Rexxar remains alive. These bonuses are lost on Rexxar’s death. Rexxar and Misha’s Basic Attacks increase the damage of the next Misha, Charge! by 40%, stacking up to 400% bonus. Diablo: Fixed a visual issue affecting Diablo’s tail during certain animations. Anub’arak: Burrow Charge will now correctly allow Anub’arak to escape Zarya’s Graviton Surge. Kael’Thas: The Burned Flesh Talent will now correctly deal damage equal to 8% of targets’ maximum Health, rather than 5%. Kael’thas: Fixed an issue in which Sun King’s Fury could deal bonus damage to targets who were already affected by Living Bomb.